Fellowship update! I’m behind in my posts so here are some photos of what we’ve been up to the past several weeks. Pulling electric fence at the end of the season, using a motorized wire winder. Mowing an area that will be sprayed in the spring to control exotic grasses, and eventually re-seeded. 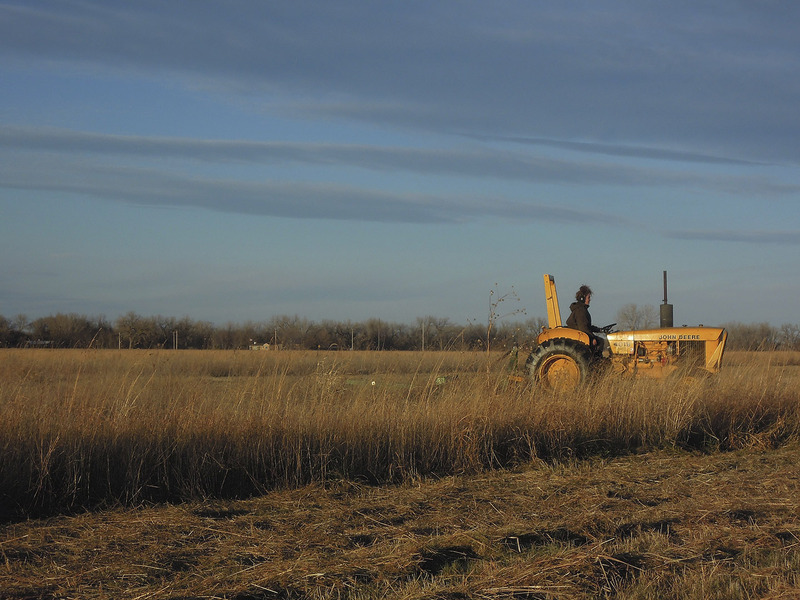 I hadn’t used the tractor in months, so after I was re-trained, I mowed our Dahms Pivot property for several hours, trying to knock back some of the invasives before we re-seed a big portion of the restoration in the coming years. While I mowed, I saw many small mammals scamper out of my way, one bald eagle, one pheasant, several raptors and other birds I couldn’t identify, and a stunning sunset (below). 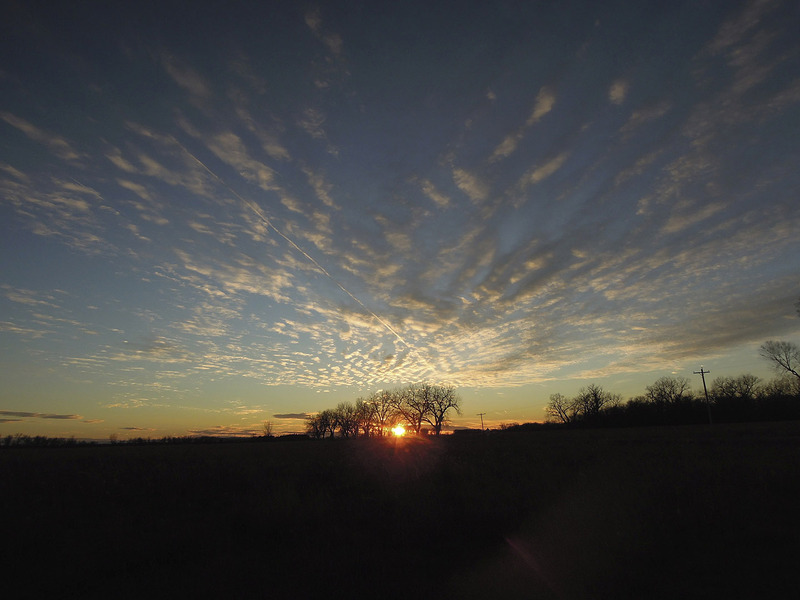 Autumn sunset over the Platte River Prairies. 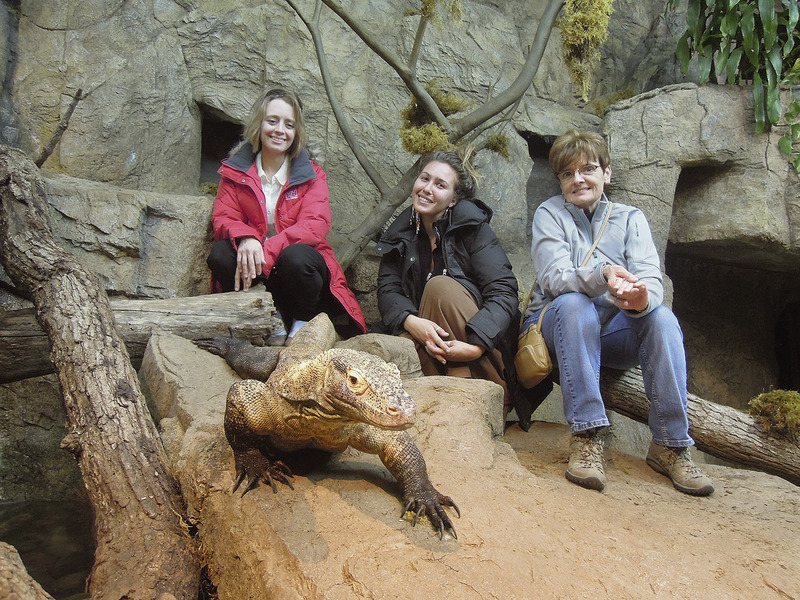 The Fellows were recently treated to a tour of the Henry Doorly Zoo with Anne Hubbard and Jessi Krebs, Reptile and Amphibian Curator, who gave us a behind the scenes look into the zoo’s amphibian conservation research efforts. We also got to walk around the world’s largest geodesic dome at sunset. Later in the week, we returned to give a presentation to the high school zoo academy students. (L-R) Anne Stine, Eliza Perry, Anne Hubbard. Komodo dragon in foreground. Henry Doorly Zoo, Omaha, Nebraska. Anne makes a new friend. 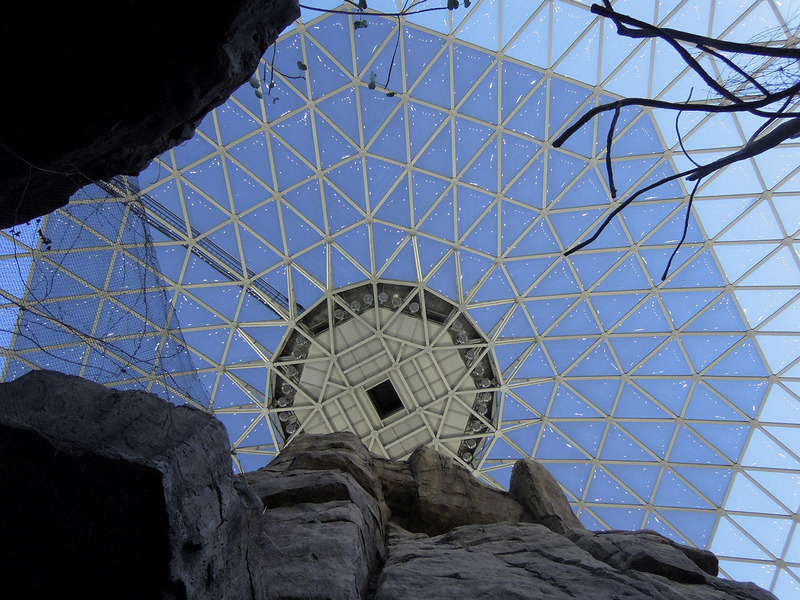 The roof of the Desert Dome at the Henry Doorly Zoo in Omaha. 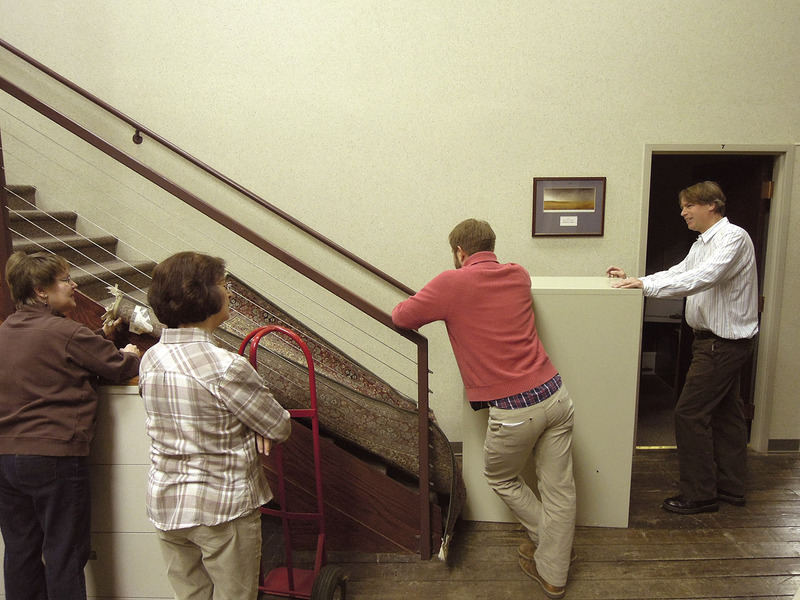 Staff at the Omaha field office of The Nature Conservancy – moving furniture. Anne cuts off a limb (of a tree! ), supervised by Nelson Winkel, TNC land steward. 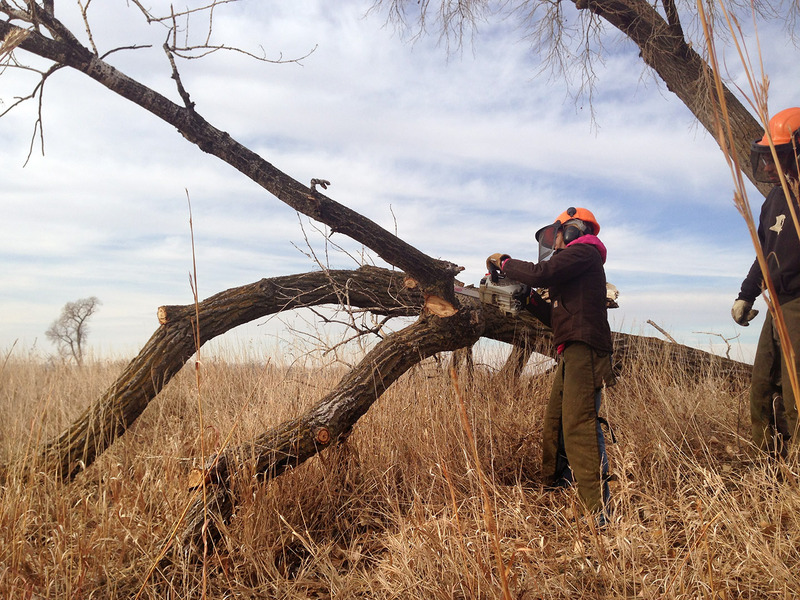 After our week in Omaha, the Platte River Prairies crew had a chainsaw training field day as we gear up for winter tree removal. We did a little chainsaw work over the summer, but my preference is to do the majority of it while it’s not sweltering hot outside. Anne is learning how to safely limb and buck up a tree under the supervision of two experienced sawyers. 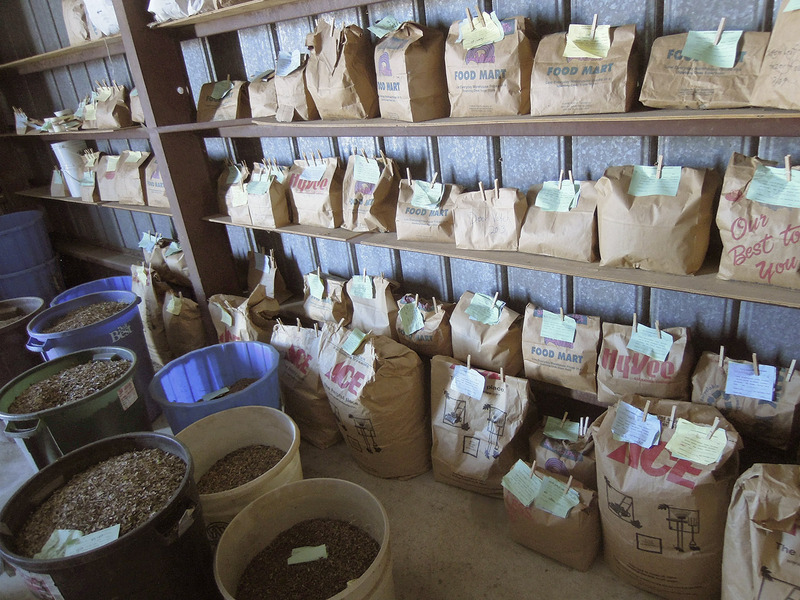 Shelves of processed seeds wait to be mixed and planted. Seed harvesting and processing accounted for a sizeable chunk of our stewardship efforts this summer and fall, so this image of all the seeds in storage is exciting. 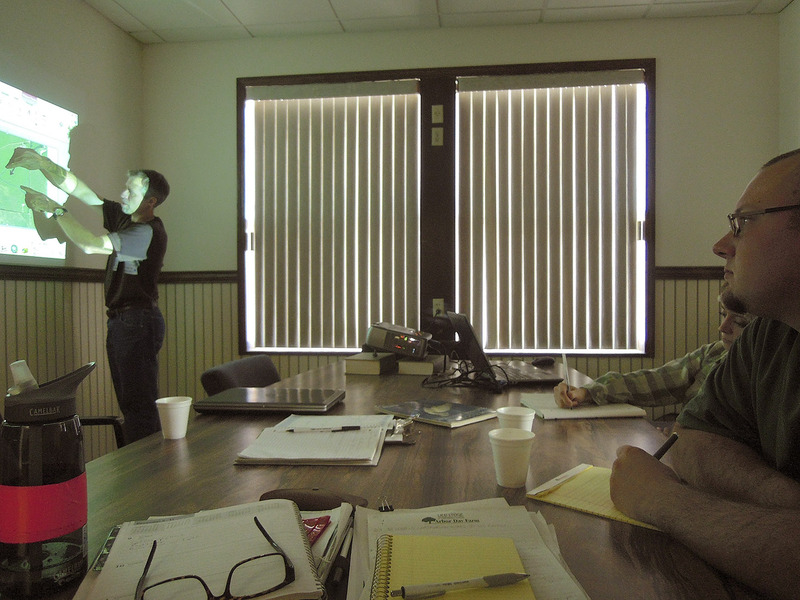 Chris Helzer describes prescribed fire tactics and strategy during a training session. The Fellows sat down with Chris Helzer, Tyler Janke, and Nelson Winkel to create burn plans for our spring burns. Here, Chris is showing us how wind changes can affect the burn trajectory, and how we need to account for these possibilities in a plan. We worked through one prescribed burn plan as a group so we could see all the components of that process. This entry was posted in Prairie Management and tagged chainsaw, fence, henry doorly zoo, hubbard fellowship, mowing, omaha by Chris Helzer. Bookmark the permalink. Eliza, you certainly have been busy! And I wish I could have dogged your steps for most of it. You have a great job. 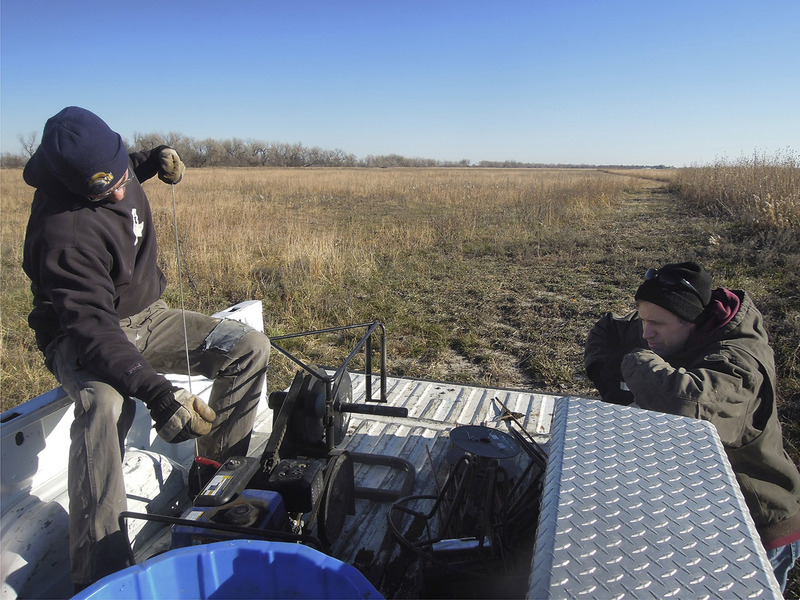 It’s great to see photos of the actual nuts and bolts of prairie management! Not sure which are the nuts and which the bolts. LOL Thanks for sharing these!